My Story - Anthony F.
"It is a very comforting feeling to know that my valuables will be protected." 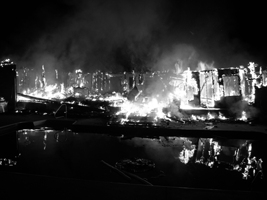 On September 21, 2008, my family unfortunately experienced a major house fire. Our home was completely destroyed as a result of the fire. 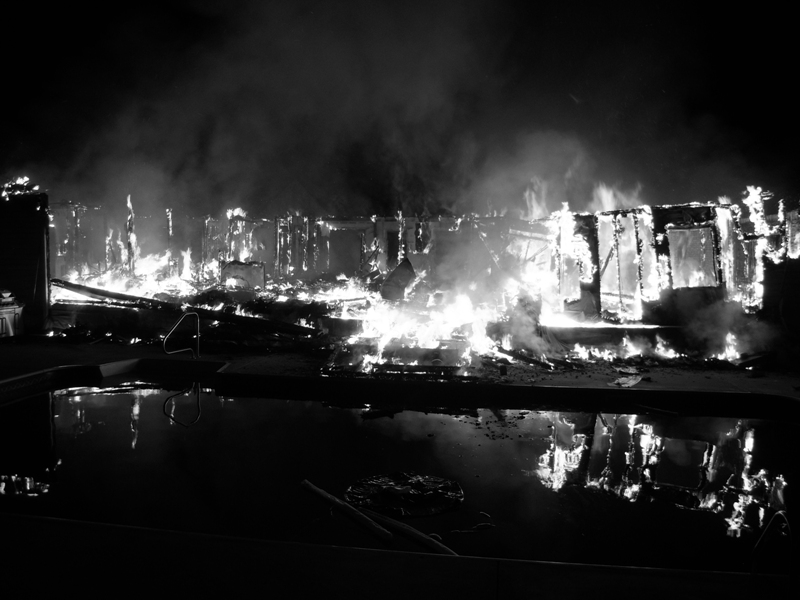 The fire burned for several hours and it appeared to us that everything within our home was a total loss. The fire officials told us that the fire was an extremely hot one. I had some trophy mule deer taxidermy and even the bone and antlers were disintegrated to ash. These same officials explained that for that to happen, the temperature of the fire had to be at least 2000 degrees. 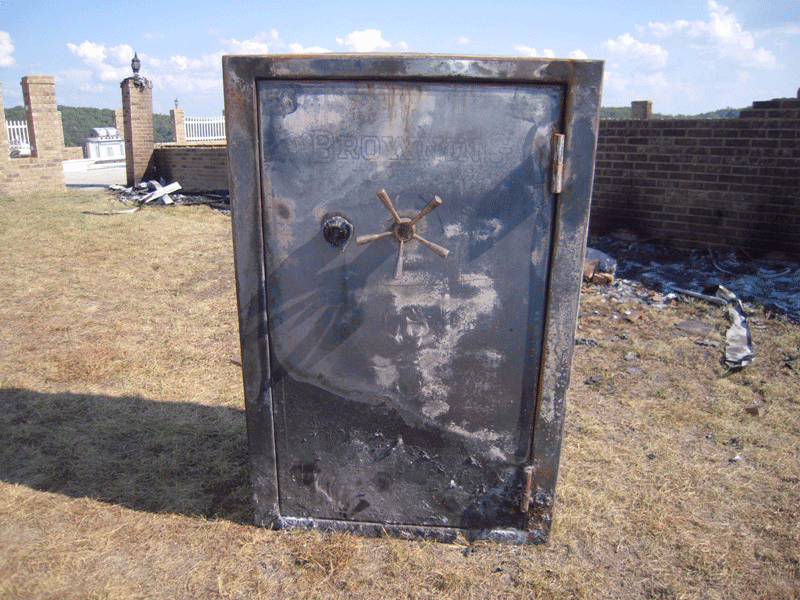 The fire completely collapsed into the basement of our home and burned for several hours directly on and around my Browning ProSteel Medallion Gun Safe. In fact, after the fire was extinguished, the ash from the burned remains of the house and contents was stacked up to the handle level of the safe. 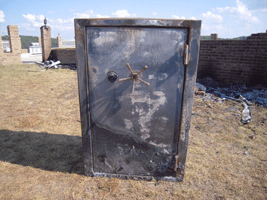 Four days after the fire was out, we were able to retrieve our Browning ProSteel Gun Safe from the basement. By the looks of the safe on the outside, I was certain that the items inside would be a complete loss like the rest of our home. When I opened the safe, to my amazement, I found every item inside the safe was in great condition. Even the plastic pistol box I had inside the safe was not even warped, much less destroyed. 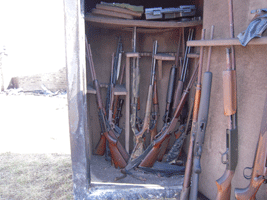 My expensive gun collection was preserved with no damage to any of the wooden or composite stocks. Even the small Browning ProSteel Safe Owner's Manual in a thin plastic case survived intact. I was also very pleasantly surprised that when I called ProSteel to take advantage of the replacement warranty in the event of a fire, the warranty department was extremely cooperative and I already have my replacement Browning ProSteel Medallion Safe. 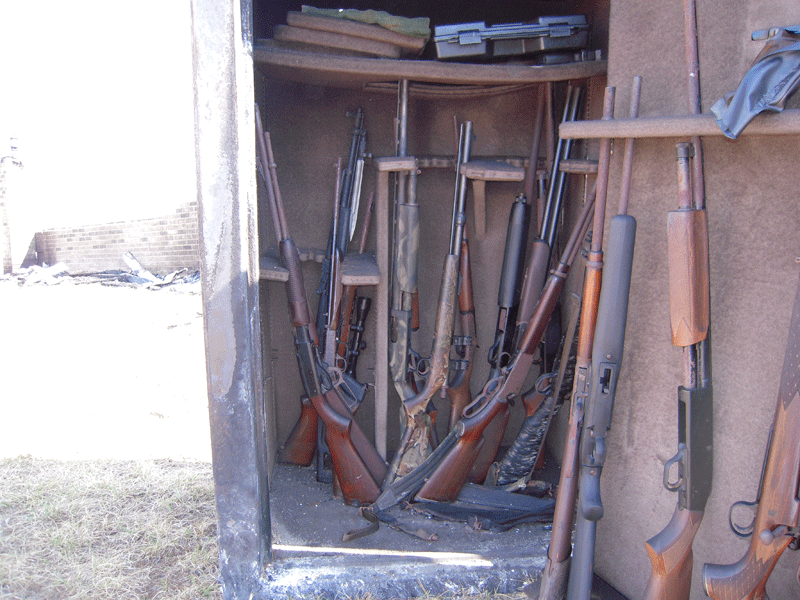 I have shared this story and shown the results to several of my hunting partners who have told me they will be selling their current safes to purchase a Browning ProSteel safe like mine. It is a very comforting feeling to know that my valuables will be protected should I ever have another disaster like this one.